As Oriental Medicine (OM) becomes a more widely-accepted treatment modality, there is increasing evidence that it can assist cancer patients during their process of conventional treatment. Acupuncture and Chinese herbal therapy can alleviate many of the common side effects of radiation and chemotherapy, and significantly improve the quality of life for many patients. In the past few years, acupuncture and OM have been the focus of increased interest and research funding. 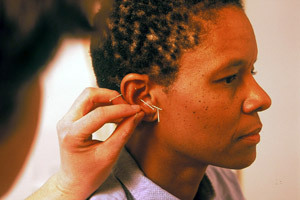 The National Institutes of Health (NIH) awarded grants for the first acupuncture trials in 1973. What is the role of Chinese herbs for cancer patients who are undergoing conventional treatments? In the practice of OM, cancer is viewed as a part of a pattern of disharmony both stemming from and affecting the entire system (body-mind-spirit). OM views the imbalanced system as a potential amplifier of cellular aberrations. The main treatment strategy is to restore health by creating homeostasis within the system. Patients can expect to receive 5 to 9 treatments over the course of three months in conjunction with ongoing chemotherapy and/or radiation therapy protocols at a cost of approximately $600-$800. There is very little insurance coverage for acupuncture in North Carolina, though many of our patients pay for the cost of treatments with their flexible spending or health savings accounts. Treatments are custom-tailored to fit each patient’s needs. Many patients find that acupuncture treatments so dramatically improve their response to standard therapy that they request an acupuncture treatment with each of their chemo/radiation sessions. For example, if a patient has chemo every Wednesday for 3 weeks in a row, she may have acupuncture every Tuesday during those 3 weeks, then skip acupuncture when she also has a week off from chemo. Other patients may find that one acupuncture treatment per two radiation sessions is sufficient support. During western medical treatment breaks, occasional acupuncture and daily herbal medicine may be used to build up your immune system, regulate digestion, and improve overall energy. The practitioners at OHS practitioners have a combined 50+ years of experience. We gladly work with you and your doctor to fit your needs, and help you have the best possible outcome. 5. Beinfeld H, Korngold E. Chinese medicine and cancer care. Altern Ther Health Med. 2003;9(5). 7. Weiger W, Smith M, Boon H, et al. Advising patients who seek complementary and alternative therapies for cancer. Annals of Internal Medicine 2002;137:899-903. 8. King CR. Nonpharmacologic management of chemotherapy-induced nausea and vomiting. Oncol Nurs Forum 1997;24 (suppl. 7):41-48. 9. Rhodes VA, McDaniel RW. Measuring nausea, vomiting and retching. In: Frank-Stromberg M, Olsen SJ (eds.) Instruments for Clinic Health Care Res, 2nd ed. Boston, Jones & Bartlett,1997,pp.509-518. 10. de Aloysio D, Penacchioni P. Morning sickness control in early pregnancy by Neiguan point acupressure. Obstetrics and Gynecology 1992;80:852-854. 11. Belluomini J, et al. Acupressure for nausea and vomiting of pregnancy: a randomized, blinded study. Obstetrics and Gynecology 1994;84:245-248. 12. Fan CF, et al. Acupressure treatment for prevention of postoperative nausea and vomiting. Anesth Analgesia 1997;84:821-825. 13.Dibble SL, Chapman J, Mack KA, Shih A. Acupressure for nausea: results of a pilot study. Oncology Nursing Forum Feb 2000;27(1):41-7. 15. Alimi D, et al. Analgesic effect of auricular acupuncture for cancer pain: A randomized, blinded controlled trial. J Clin Oncol, 2003. Vol 21(22):4120-4126. 16. Vickers AJ, et al. Acupuncture for dyspnea in advanced cancer: a randomized, placebo-controlled pilot trial. BMC Palliat Care, 2005 Aug 18,4:5. 17. Study examines acupuncture to alleviate symptoms for advanced colorectal cancer patients. EurekAlert news release, March 4, 2003. 19. Wong R, Sagar CM, Sagar SM. Integration of Chinese medicine into supportive cancer care: a modern role for an ancient tradition. Cancer Treatment Reviews 2001;27:235-246. 20. Li Peiwen. Management of Cancer with Chinese Medicine. Donica Publishing, 2003. Distributed by Churchill and Livingstone. pp. 76-77. pp 79. 22. Tagliaferri M. et al. Complementary and alternative medicine in early stage breast cancer. Seminars in Oncology, Vol 28, No 1(Feb), 2001:127.